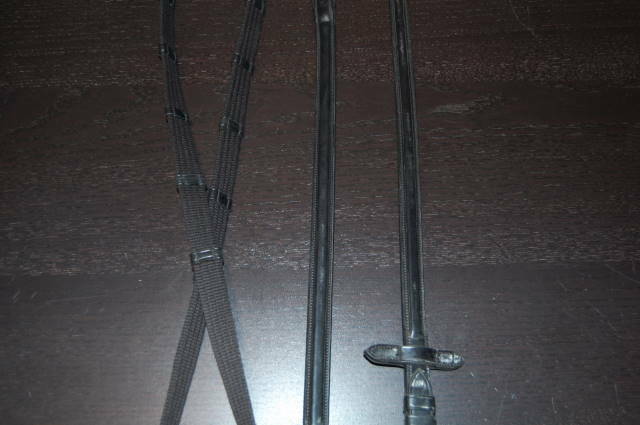 Horse 'English Webbed Reins' for English Bridles. sometimes known as 'Braided Reins'. 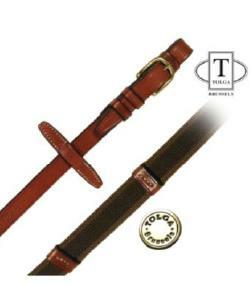 'Horse Web Reins' for Tolga Hunter Bridles, Jumper Bridles, Dressage Bridles, are of fine leather from Brussels for horse and riding apparel, riding boots and Equestrian . HorseSmart English Tack carries Bridles with Laced Reins. 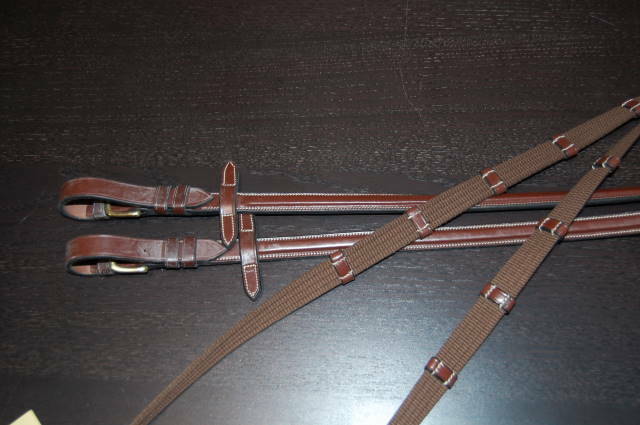 HorseSmart English Bridles for the Equestrian rider in mind...'Equestrian Web Reins'. (Plain reins with stops). 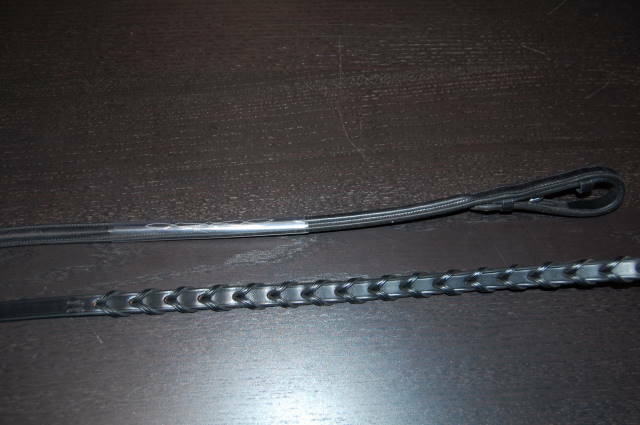 Horse Leather Reins. 3/4" Tobacco Buckle. 3/4"